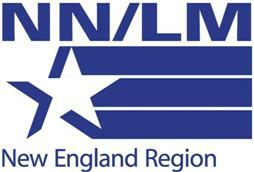 The mission of the National Network of Libraries of Medicine New England Region (NNLM NER) is to advance the progress of medicine and improve the public health by providing access to biomedical information and by improving the public's access to information to enable them to make informed decisions about their health. The Lamar Soutter Library at the University of Massachusetts Medical School administers the work in program areas that strengthen the capacity of knowledge workers and health care providers to find, disseminate, and use quality health information resources. Under contract with the National Library of Medicine, NNLM NER works with a variety of intermediaries, including health care providers, public health professionals, public librarians, educators, and community organizations. Works in this collection represent internal program initiatives or funded projects conducted by other institutions. Understanding Grief After an Overdose Death, Franklin Cook MA, CPC and Susan M. Halpin M.Ed.